Will Facebook replace your B2B Marketing email system? I want to roll the clock back a few weeks to the announcement of an initiative by Facebook called – Project Titan. At the time that I saw it and tweeted about it (of course) it really hadn’t hit me just how important this could be to any business. What seemed like a pretty basic message about an upgrade message of their current email system which is rather archaic (you know, the one that makes you delete messages one by one!) to a full POP/IMAP supported email account, which means users will be able to configure it with any e-mail client, including Microsoft Outlook, Entourage and Apple’s Mail applications. Facebook made its initial announcement of Project Titan to the market on February 5th and was candidly thought to be a Google Gmail killer. So 3 days later on February 8th Google announced Google Buzz! This is clearly an all out war between Facebook and Google. Facebook quietly surpassed Yahoo last year to become the second largest website (according to Alexa.com) and is slowly closing the gap with Google which is now less than 10 million unique visitors per month!! The point here for B2C and B2B Marketers is that as Facebook makes their platform rich in interaction and captures more users and hence more conversations about your brand – you will need to be there and engage with their user base. I still get questions from B2B firms asking if they should start a presence in Facebook and the answer is unequivocally YES. Facebook should be your social media hub of everything you have from company news, announcing events, offer tutorials, highlight videos, conduct polls and create community around discussions. But now with this new email feature you can upload your email lists and invite them to truly engage with you on Facebook. If Facebook can create this type of rich interaction with their Fan Pages and now their email systems – then why would you need an external email vendor? Did I forget to mention all of this is FREE! 11 comments to Will Facebook replace your B2B Marketing email system? It is exciting to hear about positive steps forward for Facebook apps. However I’m not sure that this is not exactly the feature set I would have advised. The nature of @vendor.com email addresses have limited appeal and have digressed into spam mail catchall addresses. I am excited to think that people could send an regular email to my facebook presence and reach me But honestly, I would redirect it to my spam account at a @vendor account. In fact, it sounds to me like this could be a spam magnet and become a huge cost center for Facebook. In addition to market for to be reckoned with, Facebook has likely become a massive hacker target and this baits making that worse. I see so many prospective valuable apps for Facebook. I’ve been posting them here: http://www.mattmerriam.com As you know, Paul, I am a huge fan. I just don’t know that this is one that’s either a win for facebook or for establishing it’s new leadership role at the top of the web. @Matt – great point they are certainly putting a target on themselves – I guess we have to hope they are able to fight the spammers and hackers before it happens and spoils the experience for everyone! How funny. I always thought Facebook was just a fad, but now I can see how companies can use this a marketing vehicle. Great insight! 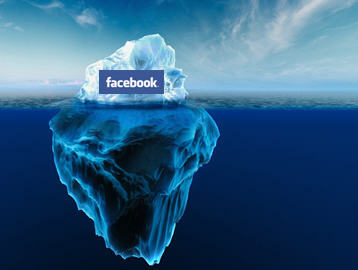 @Kristen – glad to hear you are seeing Facebook differently – thanks for the comment! I wanna thank the blogger so much not only for this post but also for his all previous efforts. It amazes me every time I find a blog that helps me so much. Great site and wicked content to boot. Excellent!! Enjoying your ideas. Top Job!. thanks for this article, nice info. A lot of people refuse to use Facebook with their use of personal information but I’ve considered it’s uses I just don’t know for sure yet.